A daunting and confusing decision. It's not uncommon for us to get questions over the phone on what can or can't be done. That's why our process generally starts with an in home consultation and discussion on your desired end result. 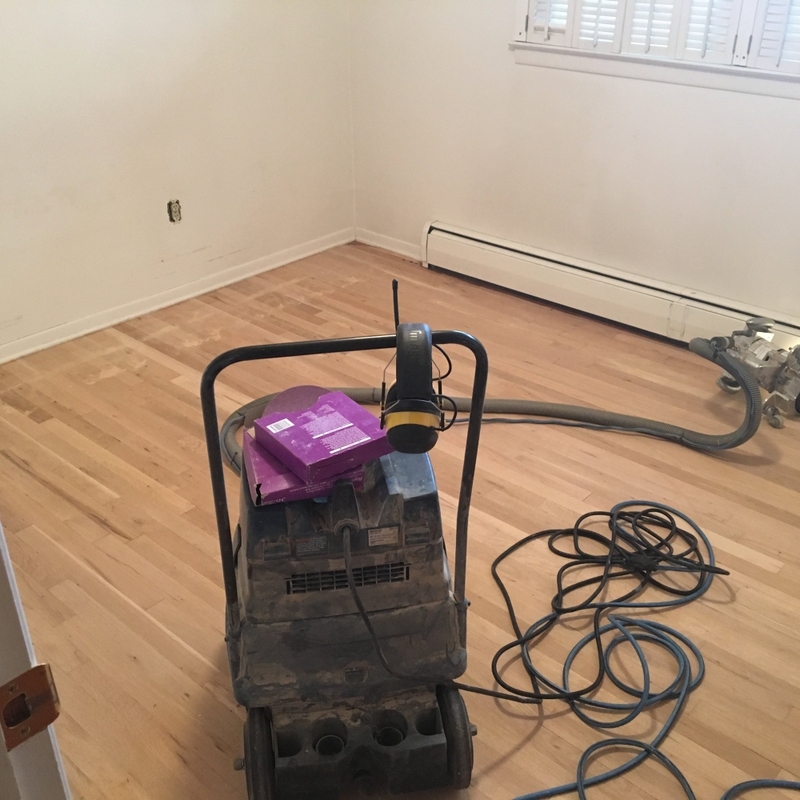 We will look your floor and inspect it for cupping, moisture concerns, shadowing, water damage, pet stains, and advise on what we can do to get you what you need. The second step requires you to give us an open floor and space to do our work. All of the furniture needs to be removed in order for us to operate smoothly and efficiently. In some cases it is a good idea to remove objects that could fall from vibrations such mirrors and artwork. After room has been made to operate the floor is machined with the belt sander and edger. The corners and jams are then scraped by hand and the edges are palm sanded. The are is then extensively buffed and vacuumed multiple times before the first coat or stain goes down. The floor is then coated a standard of 3 times after the second coat is dry the floor and edges are buffed smooth for the final coat. A buff and coat is generally easy and quick process that can revitalize the appearance of some floors. A buff and coat can also be used to maintain an already finished floor a few years down the line. It is important not to wait after you see the finish start to wear. Always feel free to call and ask questions or ask about being put on a maintenance plan. 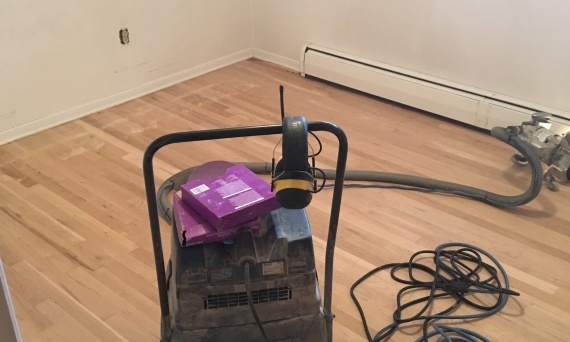 Staining or color requires a little extra sanding and adds a little bit more time to a project.when choosing a color we will only use Minwax stains designated for floor use, almost always the stains in the yellow can. It's never easy to decide and the pictures on the can a generally shown the look of color on red oak. It is our practice to have the client purchase the smaller sample cups of stain and apply to sections of the floor and choose the ones the like. We then sand the sample area and then apply. For staining and final coats it is important for us to shut down the site and have as little air movement as possible to avoid debris to be blown on to the floor.